SMOK mods, especially for newbies, can be a little complicated. For this reason, we decided to break down ALL the settings you’ll find inside your SMOK mod in order to help you better understand how it all works and fits together. SMOK makes A LOT of mods (these ones are my favorite). 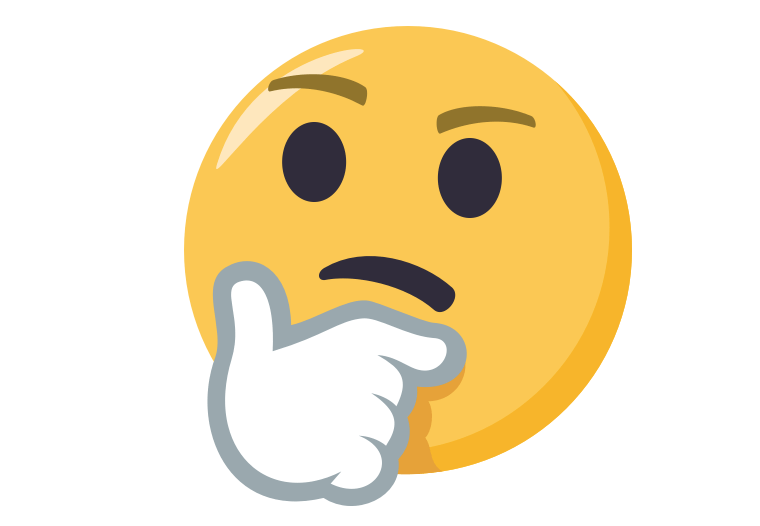 But most of them run exactly the same software, though some mods – the G-Priv 2, for instance – utilize touch rather than button-clicking combos. However, it is the same software with the same functionality, just with slightly different input methods. If you’re running a SMOK mod from the last two years, everything that follows should apply to you. SMOK does release firmware updates every now and then but these seldom change the look and feel of the UX (user experience) or how the mod’s menus and settings function. Normally, firmware just adds more power and fixes known bugs. PLEASE NOTE: this guide is designed for newbie vapers. If you’re advanced or have used SMOK mods before, a lot of what follows might seem basic, but I want to give a complete overview of how the mod works from its most basic functions right up to its more advanced capabilities. Almost all of SMOK’s recent run of mods uutilize a fire bar over a single fire button. This is a great method for firing your mod, as it requires very little precision, you can do it blind, and the overall motion is more intuitive. Once you’ve unboxed your SMOK mod, and you have installed the correct batteries in the right orientation, simply click the fire bar FIVE times to wake the mod. 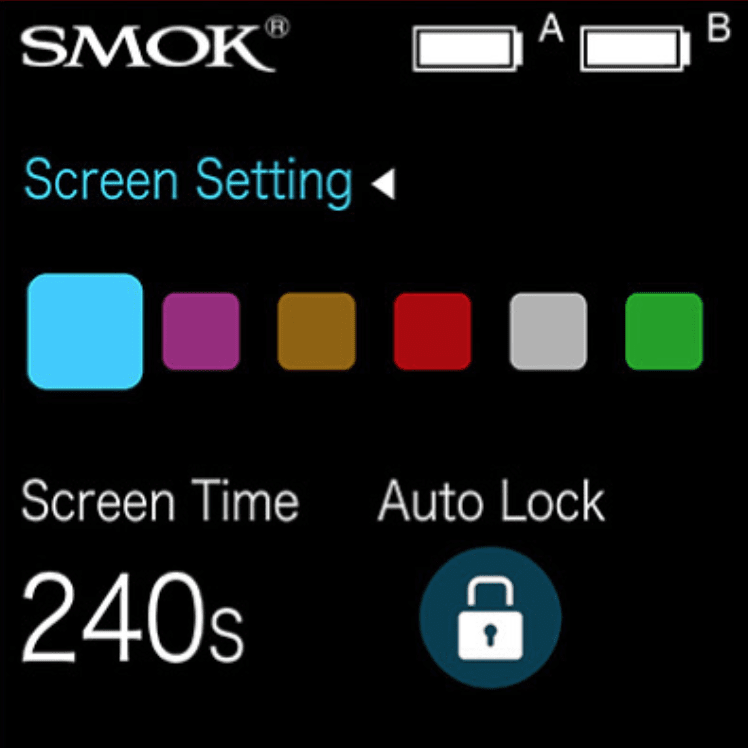 There will be a short boot-up time, where you see the SMOK logo, and then, once all the software is booted, the settings menu will appear on the display. SMOK packs a lot of information into its mods’ displays. 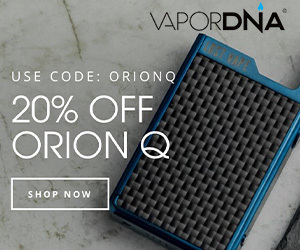 You have wattage and TC readings, dual-battery readouts, Ohms reading, voltage, and even a puff counter so you can see how much you’re vaping each day. If you’re using one of SMOK’s sub-ohm tanks, you need to make sure that its resistance matches what the coil says on the side. You shouldn’t have any issues with this, as they’re all calibrated for the purpose. You can run into issues with your SMOK mod if the coil isn’t set up correctly, though this specific issue mostly affects home-made coils. The resistance of the coil, once installed, is shown with the Ohms symbol (Ω) – 0.18Ω, for instance. If you’re using homemade coils, the resistance of the coil may differ, but that’s a whole other kettle of fish. If there are any issues and/or problems with the coil, its resistance, or the connection, the mod will simply not fire and likely show an error message. If this happens, check your coil, make sure it’s connected properly, and ensure the tank is attached properly. To set the desired wattage (or power), simply toggle the buttons up and down until you find the sweet spot for your tank. Please note: it is ALWAYS best to start way lower (40-50W) than the advertised power and work your way up slowly, as this gives the coil a chance to prime properly. Firing the mod at too high a power mode with a new coil can burn it out, and this will cost you A LOT of money in the long run. Go slow and steady. If you’re using a touchscreen SMOK mod, there will be a settings icon on the homescreen which you can simply tap to access the mod’s settings. If you’re using a non-touch device, just click the fire key THREE times to enter the Settings Menu. Once inside Settings, you can move through the menus using the UP and DOWN keys on the mod. The first setting you will encounter is MODE SETTING. In MODE SETTING, you can setup different vaping modes for different types of coil – W, Ti, Ni, SS, M – as well as adjust pre-heat, if you’d like to have this feature up and running. If you’re just wanting to vape, and aren’t bothered about doing anything fancy, just stick the mod in W (wattage) mode and adjust the wattage accordingly. Ti, Ni, and SS are there for different types of coils and Temperature Control vaping; you can make/use coils from titanium, nickel, and stainless steel, and these all require proprietary settings to run optimally. If you’re just running the SMOK coil that came with the kit, just stick to wattage mode, as that is designed for standard power modes. The only time you need to worry about the other settings is if you’re TC vaping or making your own coils with different types of wire. When you enter the settings menu (THREE CLICKS on the fire bar), you can quickly skip through the settings menus by clicking the fire bar. Once you’re inside a Menu sub-folder, to move around simply use the buttons that you use to adjust the temperature. To select a setting, hold down the fire key for ONE SECOND. This process works across the entirety of the operating system: ONE SECOND holds select options; quick clicks move you through the Settings Menu; the physical buttons are used to move through the Menu’s sub-folders and options. 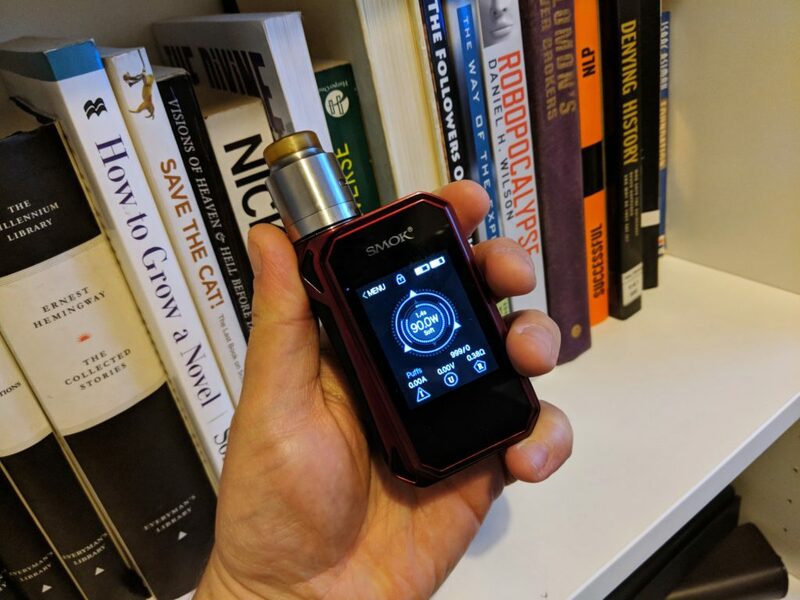 When you change the coil on your tank, especially if you’re using an RDA, the SMOK mod will ask you if it is an NEW or OLD coil and give you two potential Ohms readings. 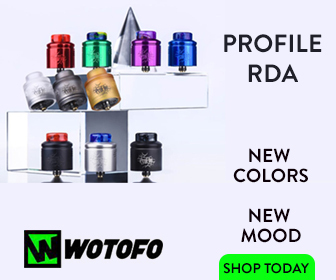 Select the one that is the same as your coil – if it’s new, basically, just hit the NEW option. On a touchscreen SMOK mod, simply tap the NEW option. If you’re using a non-touchscreen SMOK mod, toggle between the options using quick clicks on the fire bar and when you have the right option selected LONG PRESS the fire bar to select it. Quickly Switch Between SOFT, NORMAL, HARD, MAX: on a non-touchscreen SMOK mod, simply press the fire bar and the up button at the same time. From here, you can then cycle through the output settings. How To Change Wattage In TC Mode: press the fire bar and the up button at the same time. Now adjust the wattage power using the up and down keys until you find your sweet spot. Once you’ve got what you want, press and hold the fire bar for a couple of seconds to lock it in. How To Lock/Unlock Device: on a touchscreen SMOK mod, fire the fire bar THREE times to lock the mod; another THREE clicks will unlock it. On a non-touchscreen SMOK mod, simply hold the two navigation buttons down together at the same time to lock, and another time to unlock. First and foremost, make sure you have SMOK’s NuMicro ISP Programming Tool installed on your PC. Once this is installed, you need to follow the steps on how to upgrade firmware on SMOK’s official website. PLEASE NOTE: You MUST take all the batteries out of the mod before updating the firmware. And, if that wasn’t enough, you also have to press and hold down the firing bar during the entire process on certain models. Again, you can check all of this on the SMOK site. If I missed anything, or you still have questions, drop me a line via the contact section below. Have You Seen Our Best Sub Ohm Tanks of 2018 List? We recently published our guide to the best sub ohm tanks. We tested A LOT of tanks. Too many to remember. But these are the finalists. And they’re all IMMENSE.